Change is difficult. People commonly resist change for a variety of reasons. Although you intend for the change to result in a positive outcome, change is often viewed as negative. For your plan to be accepted, you must anticipate and overcome any negativity, anxiety and/or resistance. Suggestion 1: Empower employees to become part of the change. There are several reasons people resist change, one of which is fear. Many people play "Gee, what if" scenarios over and over when a new idea is proposed. When you begin to implement your plan of action, it's essential that you invite those around you to identify how the change will influence them, benefit them, and improve their present situations. Suggestion 2: Keep your employees informed. Communicate as much as you know about what is happening as a result of the change. One of the major reasons people resist change is fear of the unknown. If you communicate with employees and keep them informed, you put this fear to rest. Suggestion 3: Break the change down into digestible chunks. If it makes it easier for employees, introduce the change gradually. You can give employees encouragement and help them focus on small steps they can take to move toward the future. Celebrate their small successes. Suggestion 4: Answer the "What's in it for Me?" question. This suggestion is similar to Suggestion 1. Generally people will accept change when they see a personal benefit. Employees who are involved in determining the benefits of change are less likely to resist it. 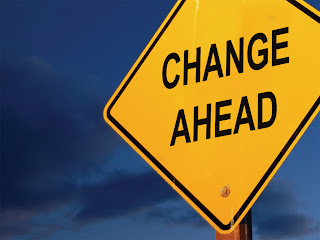 Assist employees in identifying what the change will do for them. Suggestion 5: Give employees some control over change. As employees begin to focus on the benefits of the desired change, provide them with the opportunity to control the steps to the change. Participants in change workshops have revealed that having control reduces the anxiety and stress associated with the change implementation and increases their motivation to make the change. Suggestion 6: Help employees assimilate the change. Once employees begin to experience change, help them assimilate it by reinforcing the personal benefits they're gaining. Excellent guidance on change management! The more you can get the team to be part of the change the more they will feel ownership and the more they will work to make it successful. You clearly have lead people through change in your journey.